The tomb is still empty. Image courtesy of Phillip Benshmuel, Creative Commons (CC BY-SA 4.0). Conspiracy theories attract a lot of attention. Many people are suspicious of the official version of what is happening in our time, and they might believe that they are not being told the whole truth. This might not be a big surprise, as the 20th century saw a huge rise in the use of Orwellian language. For instance, we learnt of many self-styled people's democracies that were anything but democracies and certainly not governed by the people but were in effect Marxist-Leninist oligarchies that used words in a sense that was diametrically opposite of what we might have expected. And politics is not the only sphere in which words don’t always mean what we would assume. But conspiracy theories are not recent inventions. The earliest theories saw daylight at least two thousand years ago, if not earlier. The first Christians already had to grapple with views that sought to undermine their faith in their Redeemer. Almost from the beginning of His ministry, detractors claimed that Jesus was not what He claimed to be. They questioned His credentials and refused to believe in Him. 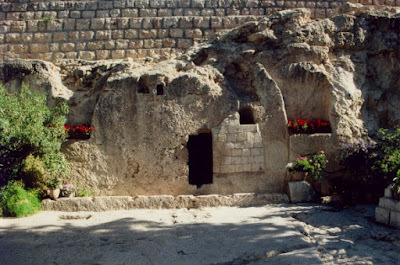 This culminated in His death and resurrection that they doubted, claiming instead that His disciples had stolen the body. This rumour probably had a long life, as the Apostle Paul had to address it in his first letter to the Corinthians that he penned some two decades after the resurrection, pointing out that many eyewitnesses to the risen Christ were still alive. Teaching His disciples in John 14 and 16, Jesus prophesied the coming of the Counsellor, by which He meant the Holy Spirit. The Greek word is paracleitos, but some Muslim scholars suggest it is a corruption of periplutos, or ‘the one worthy of praise,’ whom they assume to be the prophet Muhammed. We should keep in mind that the earliest New Testament manuscripts are over 500 years older than the Qur’an and without exception all of them use the word paracleitos. There is no way this could be understood as referring to Muhammed. This is a favourite of Bible-sceptics, but it is based on a lack of knowledge. While the Bible clearly says that God is one, it also says that He sent His Son to redeem mankind from its sin. Moreover, the New Testament calls Jesus Lord (Kyrios), the word only used of God in early Christianity, and even God (in John 20:28, for instance). The Holy Spirit is presented as a person, not an impersonal force, as some groups might believe. There is no truth behind this claim. The early church leaders had very strict criteria for choosing books into the New Testament. For instance, they had to be written by the apostles or by people close to them and be factually correct and theologically sound. The church councils merely confirmed the books that already bore the hallmarks of Scripture. Some sceptics would once again see the influence of Middle Eastern religions in the concept of the virgin birth, but the idea can already be found in the Protevangelium in Genesis 3:15, which names the seed of the woman (and not of a man, as we might have thought). Isaiah 7:14, written 700 years before Christ, mentions that a virgin shall give birth to a son. While the Hebrew word almah can also refer to a young woman, it does not nullify the Gospels’ accounts of Jesus’ virgin birth.